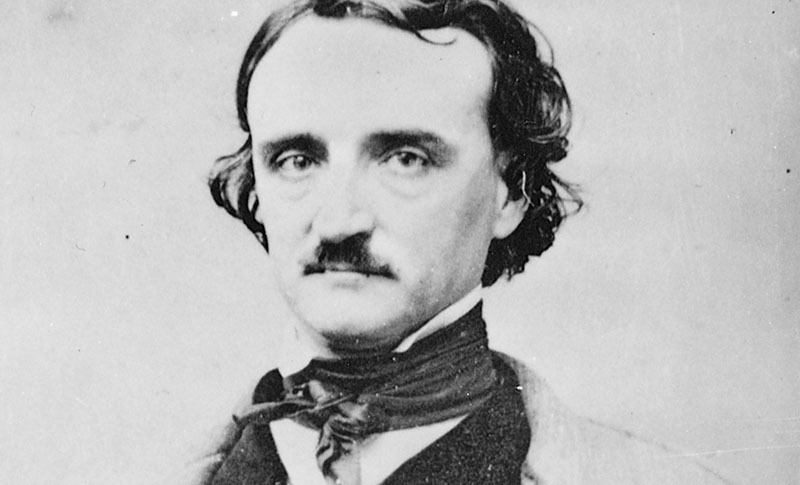 One of the Athenæum’s most famous visitors was Edgar Allan Poe. In September of 1848, he traveled to Providence in order to meet and court the wealthy Rhode Island widow, Sarah Helen Whitman. Whitman was a Providence poet, critic, Spiritualist, and cultural figure. 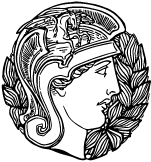 She was an avid reader and spent much of her time at the Athenæum, enjoying a relationship with the library for almost three-quarters of a century and cultivating a far-reaching network of writers, thinkers, and artists. Born on January 19, 1803 (exactly six years to the day before Poe’s birth), Whitman is most commonly remembered for her brief engagement to the troubled author. She was, however, a skilled poet in her own right. In fact, it was her poetry and writing that attracted Poe’s notice and affections. In January of 1848, Whitman wrote a poem to Poe referencing his most famous work, “The Raven,” which was intended to be read to him at a literary gathering on Valentine’s Day. Although she later learned that he had not been invited to the party due to misgivings among the New York literati, this poem served as the start of their correspondence. Poe sent several anonymous poems to Helen (including “To Helen” that recounted his accidental sighting of her in her Providence home’s garden three years earlier), before the two met in September. After several meetings, Poe proposed to Whitman in a local cemetery. She eventually accepted, but their engagement was troubled, and both parties (Whitman in particular) were counseled to break off the match by friends and family. Whitman even wrote to Poe days after their first meeting to directly refuse his proposal, but he eventually convinced her to marry him with a series of impassioned love letters, promises of sobriety, and various visits. It was during one of these trips to Providence that the couple spent time together in the Athenæum, and Whitman showed Poe a new interesting poem called “Ulalume,” published anonymously in the library’s copy of the American Whig Review (December 1847). Poe revealed himself as the author and signed his name in pencil next to the poem. Whitman discovered it still there years later, and the book and signature remain in the Athenæum Special Collections. Poe also checked out at least one book from the library’s collection using the membership share of local jewelry manufacturer and anti-slavery Democrat Thomas Davis, and this signature can still be seen in the Athenæum’s 1848 Charging Book. It was during this time that Poe survived a half-hearted suicide attempt and shortly after sat for a daguerreotype portrait in Providence, a copy of which hangs next to Whitman’s portrait in the Athenæum’s Art Room. It is fitting that the two poets’ images hang together in the library, as it was here they were last together as an engaged couple. On December 23, 1848 (two days before their planned Christmas Day wedding), Poe and Whitman were sitting in an Athenæum alcove when an unnamed messenger handed her a note that told her Poe had broken his promise of sobriety and had been drinking both the night before and that morning. Whitman immediately called off the wedding, rushed back to her house, drenched her handkerchief in ether, threw herself on the sofa, and attempted to lose herself in unconsciousness. In spite of Poe’s attempts to rouse her, she merely murmured “I love you” before fainting away. The two would never see each other again and Poe was dead within a year. Whitman would live for almost thirty more years, spending much of her time at the Athenæum. In spite of their relationship’s unhappy conclusion, Whitman continued to advocate for Poe’s work both nationally and abroad throughout her life.